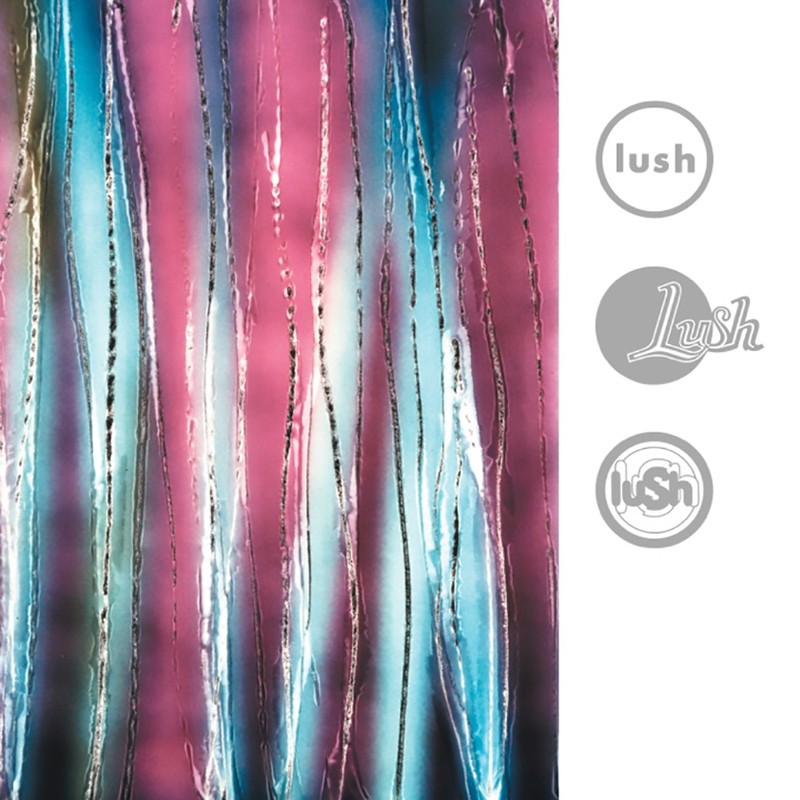 It’s been a fantastic year for Lush. We received an incredible reception to our Blind Spot EP and the three beautiful career-spanning 4AD releases, sold out two Roundhouse shows, toured North America with great success and had a ball at our European festival appearances. It’s been wonderful to revisit our old music and to create new material. However, it is now time for us to return to our families and homes, and bring our time together as a band to a close. We offer heartfelt thanks to all our fans – this reunion would never have happened without your overwhelming support and dedication. We would like to take this opportunity to announce that, for our last-ever performance at Manchester Academy on November 25th, Emma, Miki and Justin will be joined by former 4AD label mate Michael Conroy, bass player for Modern English. 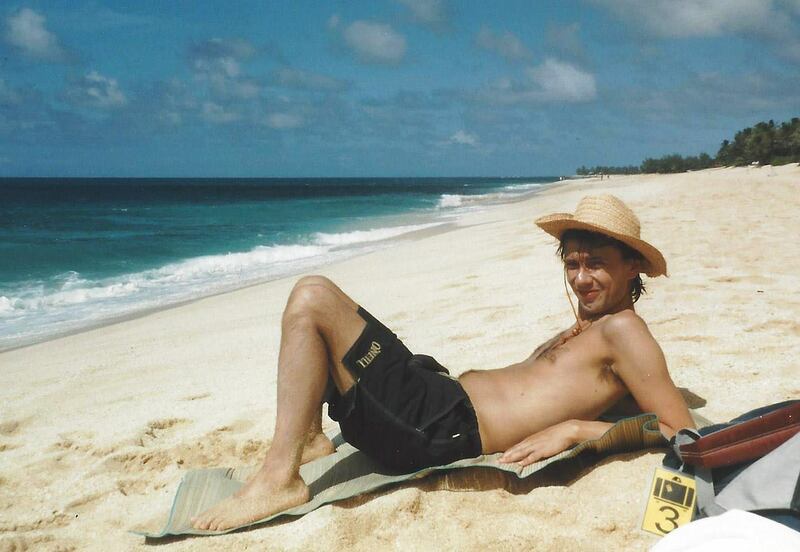 As with Justin’s involvement, Michael playing with Lush has a special significance for us as he was a very close friend of Chris’s. We’re pleased to announce the debut release on Thoughtforms of our first live radio session in the US for 20 years for KCRW’s Morning Becomes Eclectic, recorded on September 26th 2016. The 8-track session is released in a limited edition of 1,000 numbered copies on CD in an oversize gatefold cover, with the sleeve design by Chris Bigg and photography by Martin Masai Andersen. The CD comes with issue two of Thoughtforms magazine and Includes exclusive interviews with Emma Anderson, Miki Berenyi, Robin Guthrie, Vaughan Oliver, Steve Rippon, Jim Friedman and Audrey Riley. Plus previously unseen promotional band photographs; unseen photography for Lush’s record sleeve designs by Jim Friedman; unseen cover designs for Lush’s Blind Spot EP by Chris Bigg and Martin Masai Andersen; and unseen photographs of the band in the studio at KCRW for their live session recorded for Morning Becomes Eclectic. Chris Bigg and Martin Masai Andersen have created a special limited edition print for our Blind Spot EP. Sized A2 (420mm x 594mm), with a quality print on matt archival paper, each print will be individually numbered and signed by Chris and Martin. The prints will be packaged in a secure postal tube. Each print is £55.00 plus postage and packing. 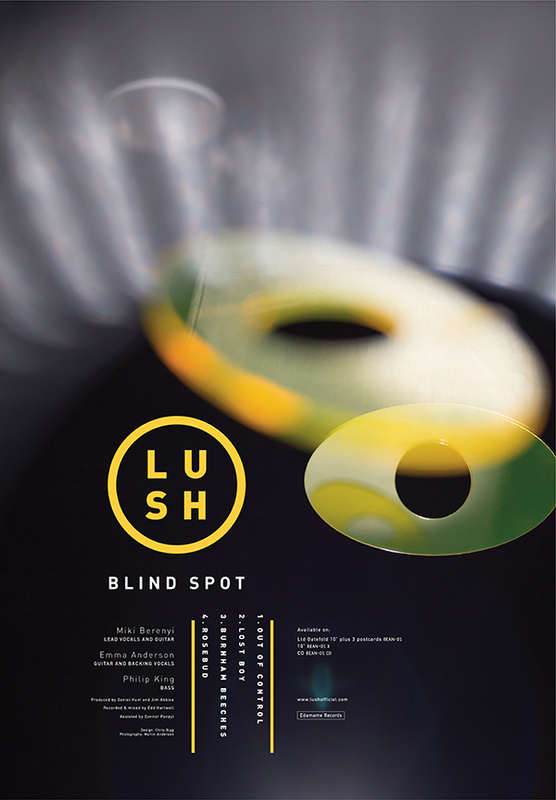 To order a copy, please email info@lushofficial.com with ‘Blind Spot print’ in the subject line and we will email you with the payment details. Watch a professionally shot video of us performing De-Luxe and Breeze at the Roundhouse in London. Filmed and edited by Badgerboy Productions. We are very sad to announce the departure of Phil King from the band. As a result, we will no longer be able to appear at the Iceland Airwaves and Rolling Stone Weekender festivals - massive apologies to everyone who was looking forward to seeing us play there. We are in the process of acquiring another bass player and look forward to our final show at Manchester Academy on November 25th. 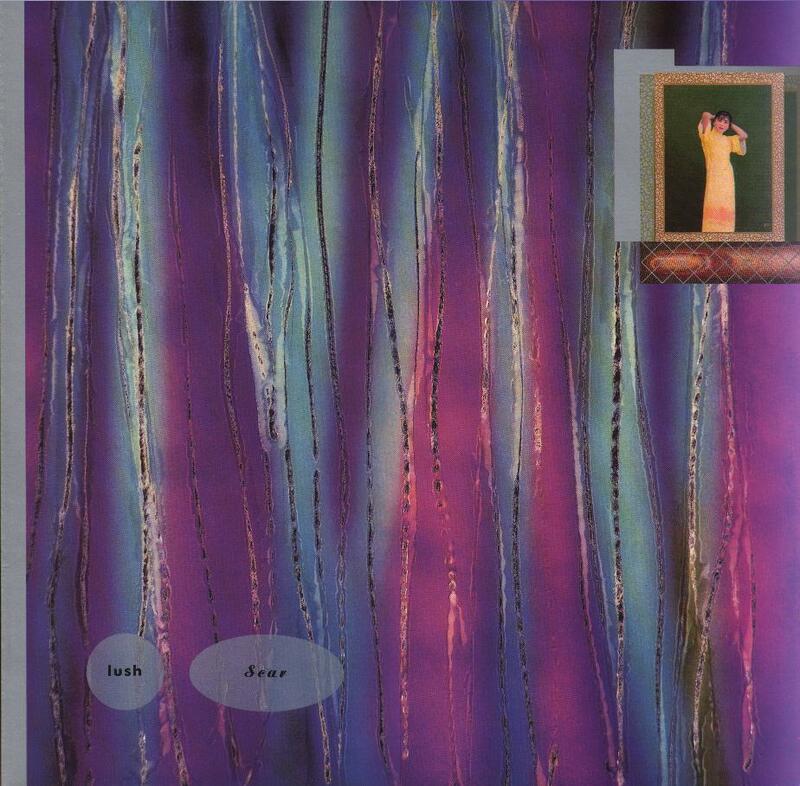 27 years ago today, October 9th 1989, we released our debut mini album 'Scar' on 4AD. Watch the full 8-track session recorded live for Morning Becomes Eclectic on KCRW on Monday 26th September. We played our first US live radio session in 20 years this morning at KCRW on Morning Becomes Eclectic, hosted by Jason Bentley. You can listen to the whole session here. You can also watch videos from the session for Out of Control, Desire Lines and Sweetness and Light. We are delighted to announce that KCRW will host our first live US radio session in 20 years this coming Monday, 26th September, on Morning Becomes Eclectic at 11.15am PDT, hosted by Jason Bentley. You can also watch a live stream of the session here. Our North American tour begins tonight in Brooklyn at the Music Hall Of Williamsburg. Our special guest on all dates, excluding Toronto and Portland is Tamaryn. 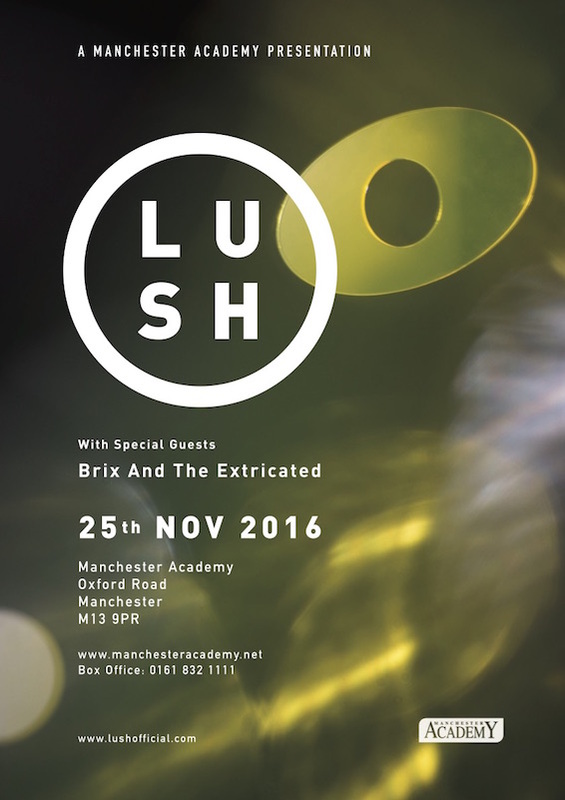 We are pleased to announce that Brix And The Extricated will be our special guests at Manchester Academy on November 25th. Tickets are available from the venue directly here. There are less than 50 tickets available for our show at Terminal 5 in New York on September 14th. Get yours now from here. 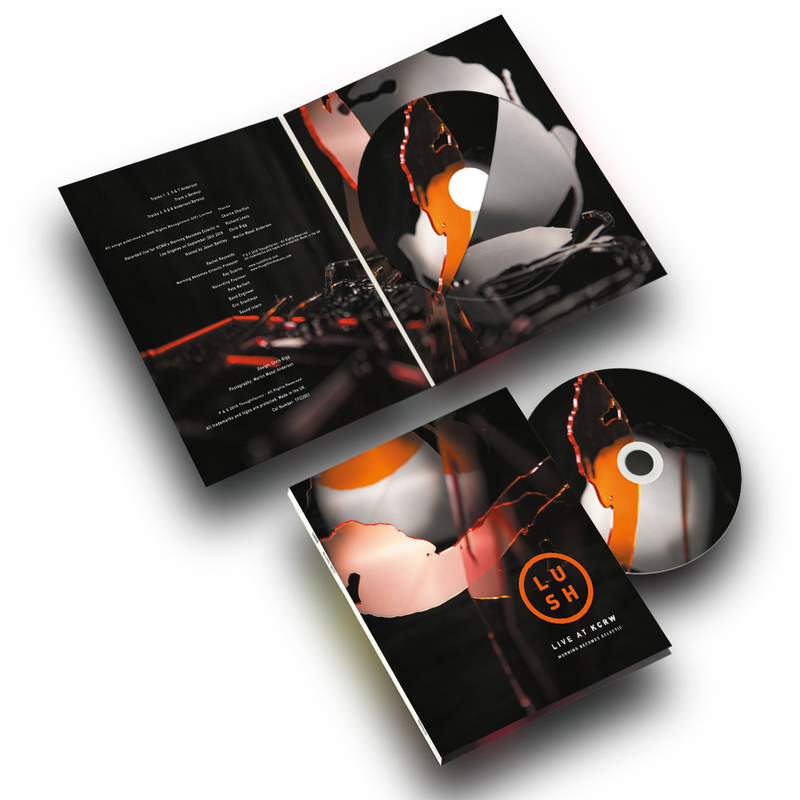 4AD have added a limited number of our 'Origami' 5LP box sets to the 4AD Store. 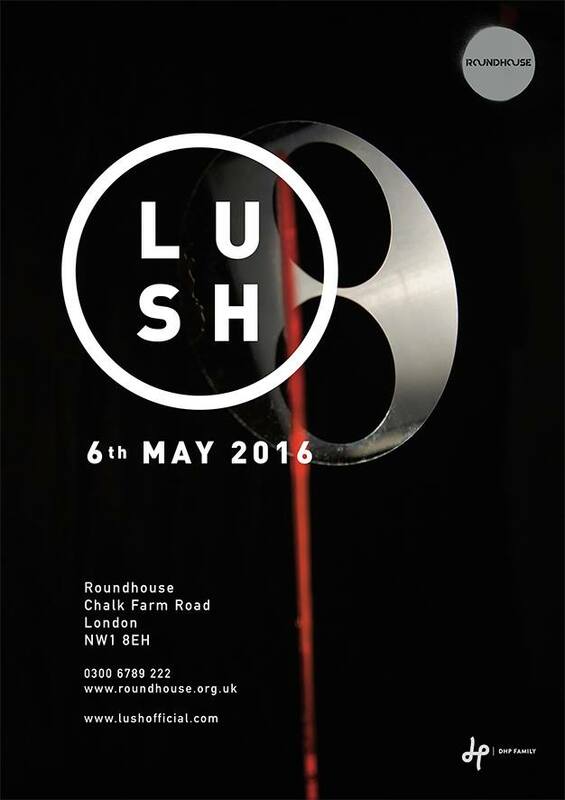 They can be ordered from the 4AD store, alongside the 5CD Lush retrospective 'Chorus' box set and 2LP 'Ciao! 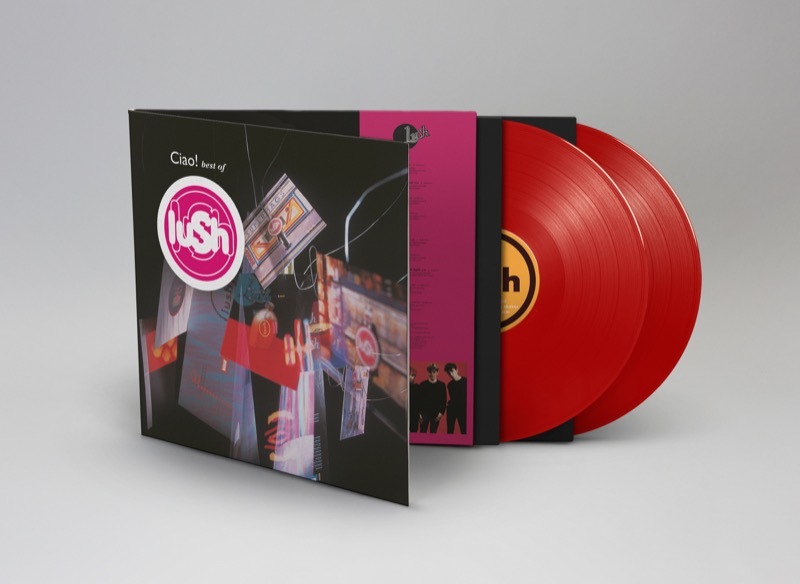 The Best Of Lush' on red vinyl here. 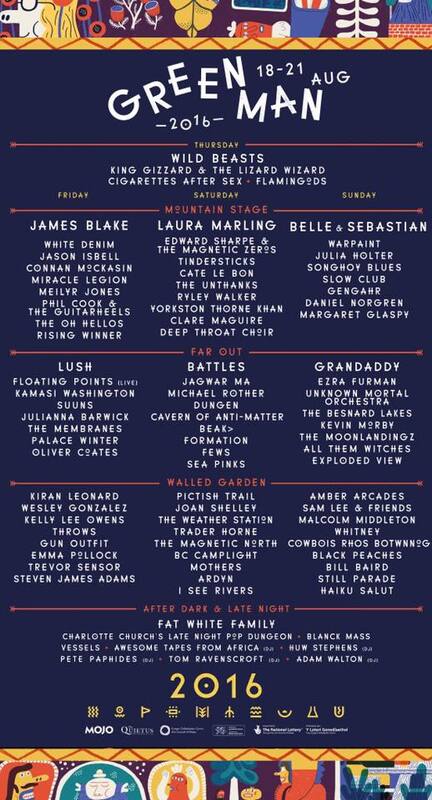 This Friday, 19th August, we are heading to Green Man Festival in the Brecon Beacons to headline the Far Out stage. 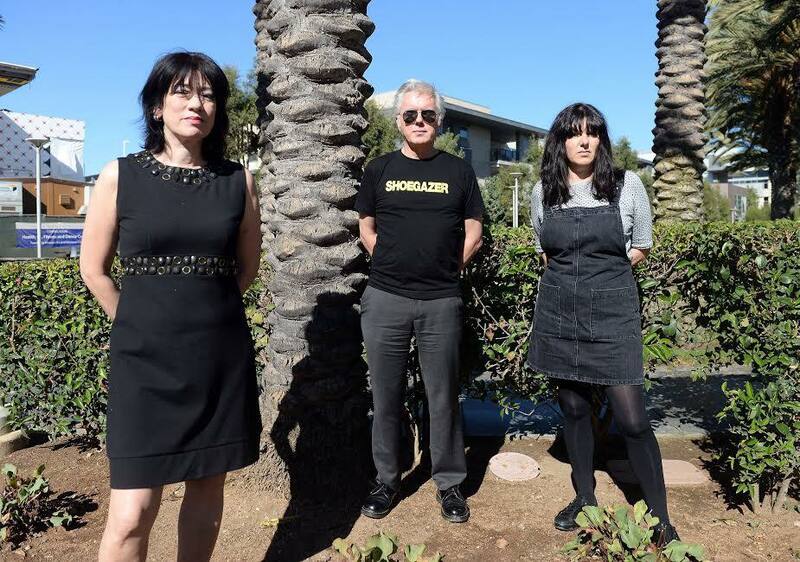 "Lush return from a 20-year hiatus (20 years too long in our opinion!) to play GM16. Their haze-filtered, bittersweet grooves will be transporting us all away to blissful harmony in Far Out. 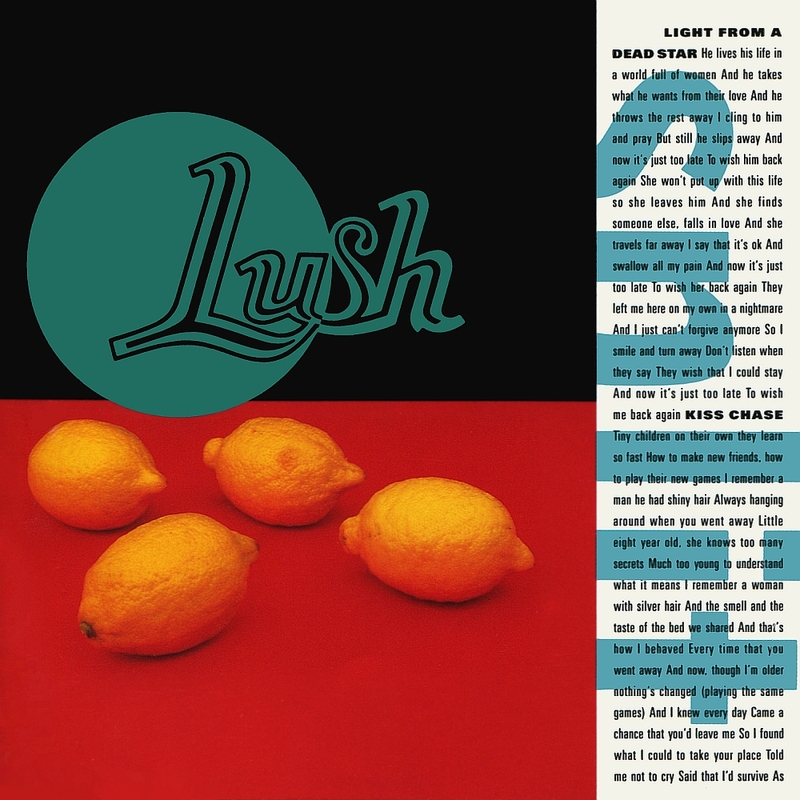 Always one of the most interesting bands in the original unrolling of the shoegaze genre, the pioneering Lush formed in London in the eighties. Reuniting at the end of 2015, the band’s comeback shows were expectedly brilliant. This reformation is a decisively thrilling new chapter in its own right, and we're bowled over to have 'em at blooming last." 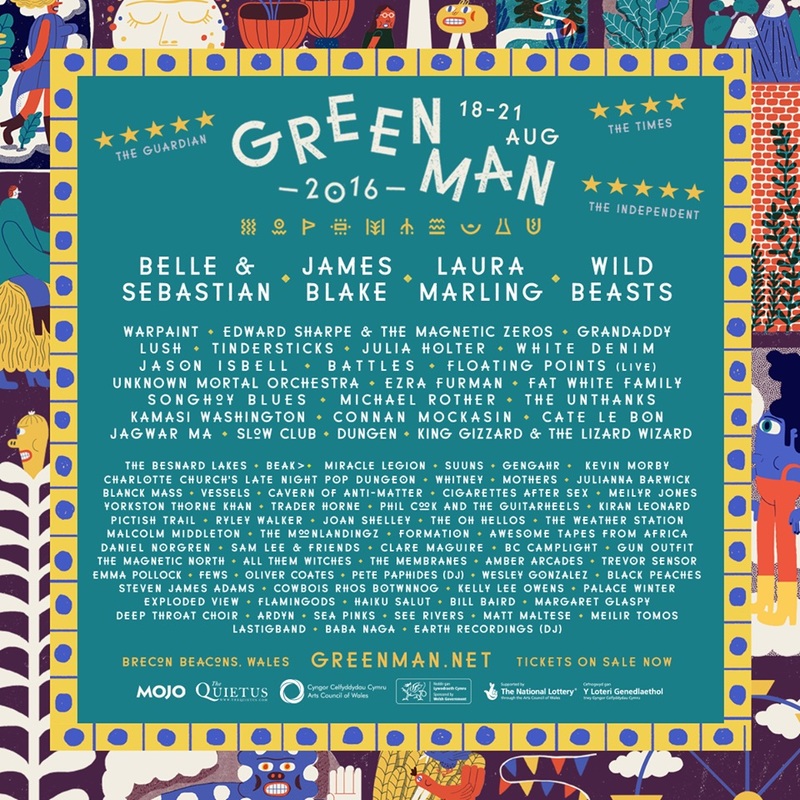 If you're heading to the festival, you can get in the mood by listening to the Green Man Playlist on Spotify here. Visit our artist page on the Green Man festival website here. 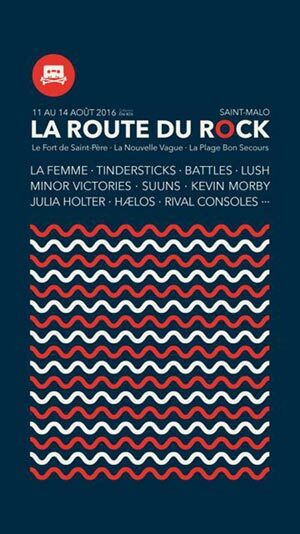 Our full set from La Route Du Rock festival in Saint-Malo, France, will be broadcast live this evening at 20.00 (UK time). 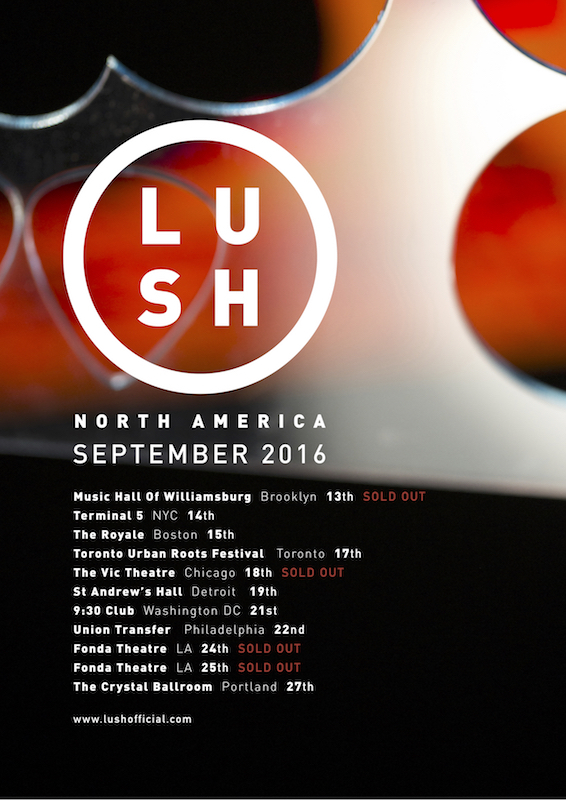 We will be on tour in North America in September. Ticket details and information for each show can be found in the Live Dates section of our website here. 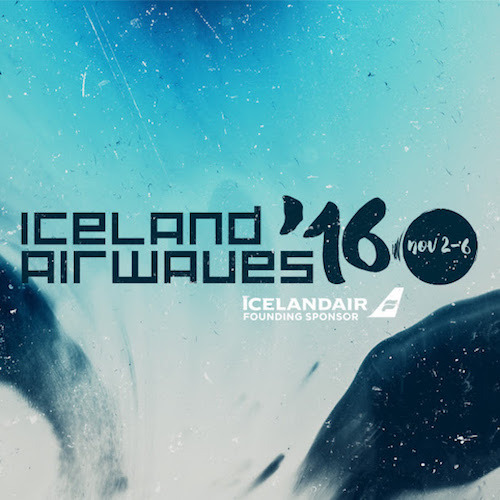 We will be appearing at Iceland Airwaves Music Festival which takes place on 2nd-6th November in Reykjavík. Our set will be on Thursday 3rd November. Further details can be found on the official festival website here. On Saturday August 6th we will be heading to Katowice in Poland to play at OFF Festival. Full details, including ticket information, can be found on the festival website here. Part of our performance at the This Is Not A Love Song Festival in Nimes, France, on June 4th is now available to watch online, thanks to Culturebox. The set featured 'Desire Lines' sung in French for the first time. Our 'Blind Spot' EP on CD is once again available at our merch store. You can order it here. Popmatters have our track 'Ladykillers' at number 77 in their list of 'The 100 Greatest Alternative Singles Of The '90s'. There are only six weeks to go until we headline the Far Out stage at Green Man Festival in the Brecon Beacons on Friday 18th August. If you've not got your tickets yet, you can get them here. Our 5LP box set 'Origami' on 4AD makes The Vinyl Factory's list of best vinyl reissues in 2016. 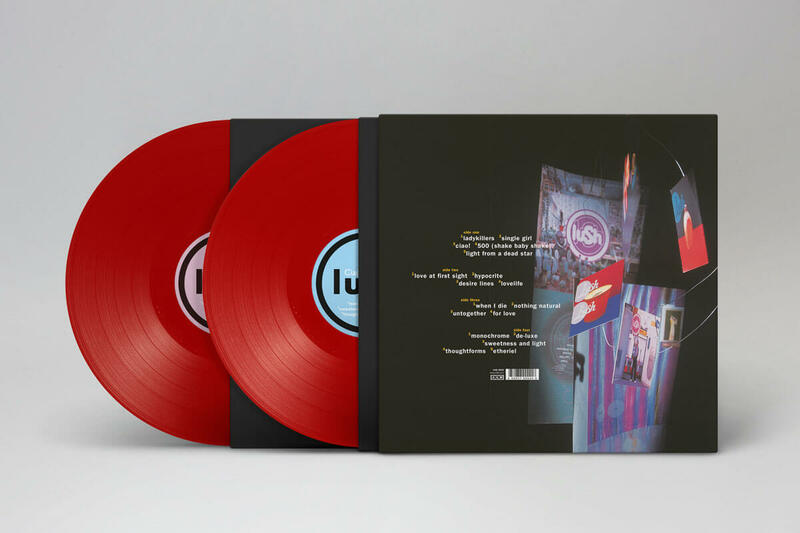 "Here we have an example of Record Store Day done right: to coincide with their first tour and new material in 20 years, ‘90s shoegazers Lush lined up this stunning career-spanning box set. 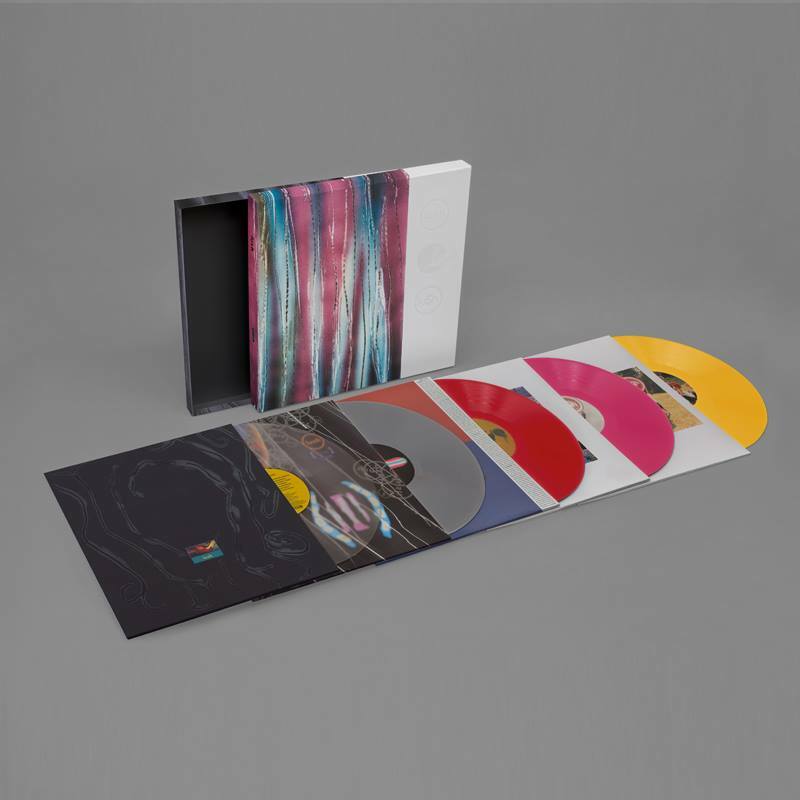 Spread across five colour vinyl records, the release collects their previous albums and EPs. With all of those original items either out-of-print or never previously available on vinyl, it’s is an absolutely essential reissue, and beautifully presented too." On Sunday 31st July, we will be playing as special guests to Maximo Park at Times Square in Newcastle. 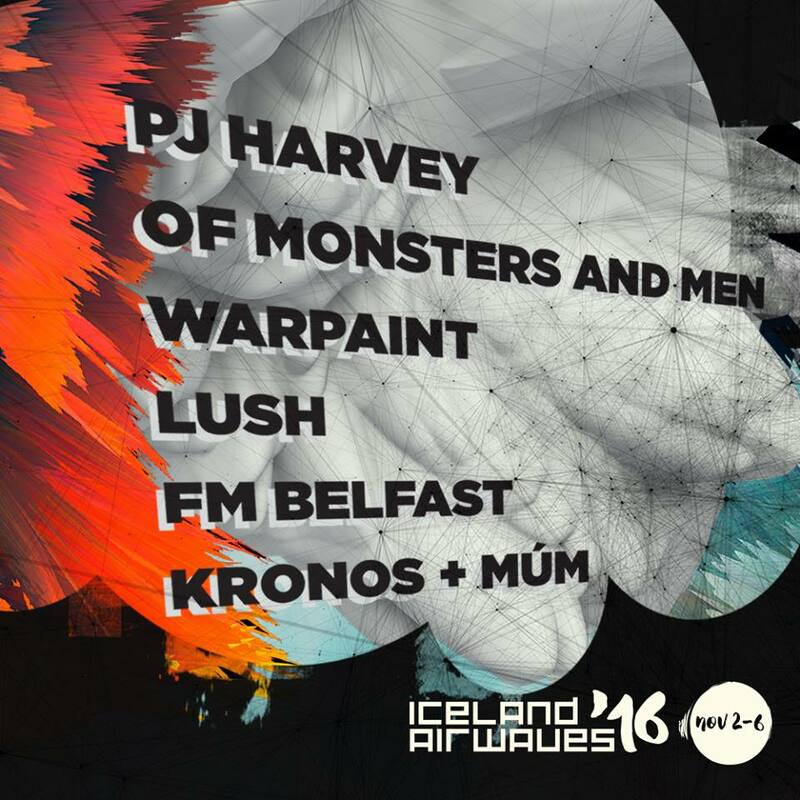 Also on the bill are Public Service Broadcasting, Teleman, Fear of Men and Warm Digits. 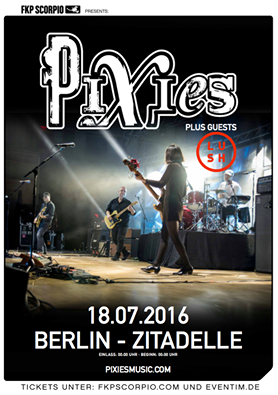 Two weeks today, Monday July 18th, we will be playing Zitadelle in Spandau, Berlin, as special guests to Pixies. Our 'Blind Spot' EP is currently at the top of this chart for 'The Best Shoegaze Albums of 2016'. 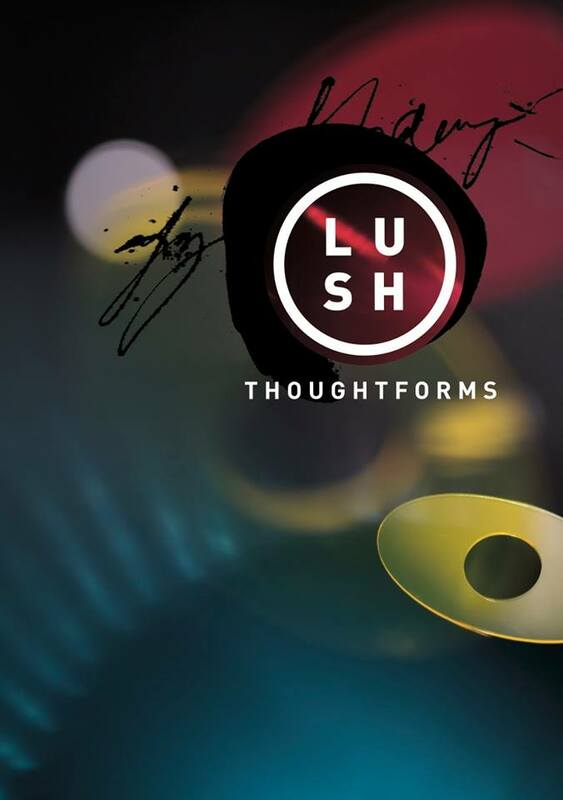 'Thoughtforms', the Lush fan magazine, is now available to purchase directly from our merch store here. Issue one includes exclusive interviews with Miki Berenyi, Emma Anderson, Philip King, Justin Welch, Ivo Watts-Russell, Chris Bigg, Martin Masai Andersen, Daniel Hunt and Edd Hartwell. Litho printed in full colour, 68 pages, A5, with a laminated cover. A second issue is currently in progress, and is due to be published in time for our US live dates in September. Our show at Music Hall of Williamsburg in Brooklyn, NY, on September 13th is now sold out. Limited tickets for our show the following night at TERMINAL 5 in New York on September 14th are still available here. As previously announced, Tamaryn will be our special guest on all our upcoming North American tour dates in September, excluding Portland and Toronto. 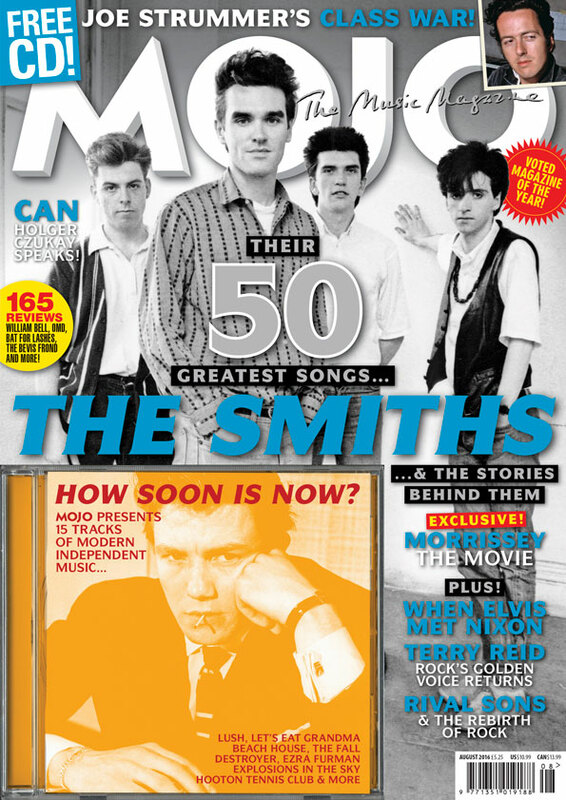 Our track 'Out Of Control' can be found on the free CD with the latest issue of Mojo magazine. You can purchase the magazine here. 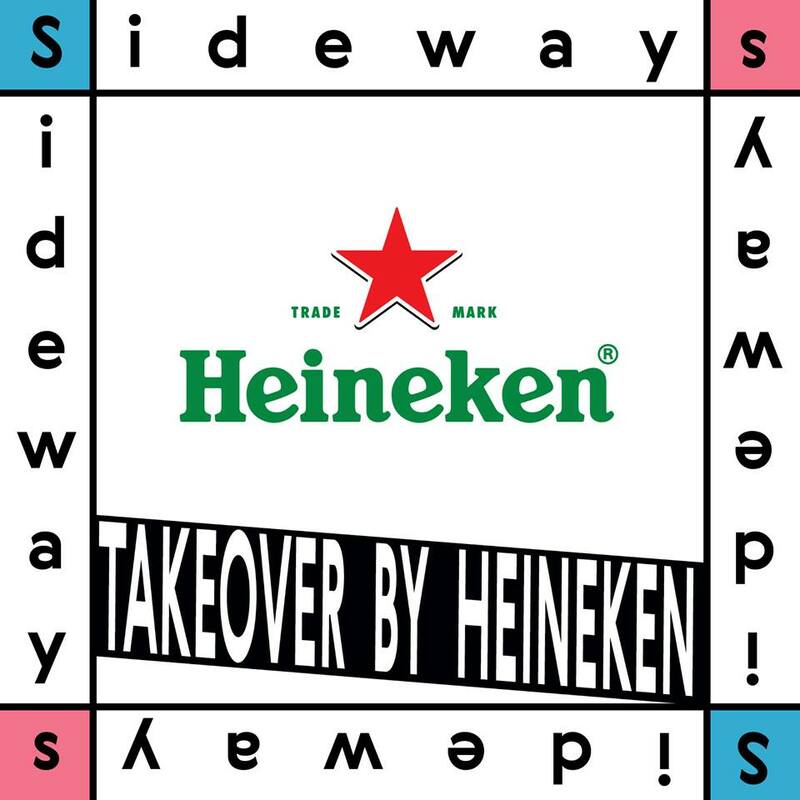 We have just taken the stage at Sideways festival in Helsinki, Finland, on the Park stage. This is a secret show for us and was previously unannounced. 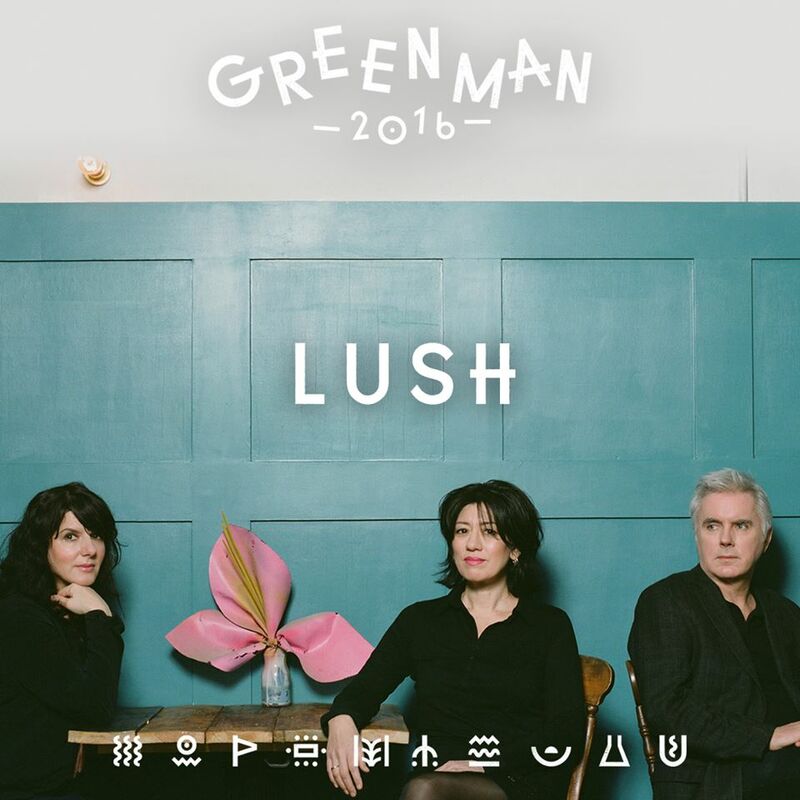 Our appearance at the festival marks the first time that Lush have ever played in Finland. We are pleased to announce that Tamaryn will be our special guest on our North American live dates in September*. Both LA shows and the show in Chicago are now sold out. The Terminal 5 and Music Hall of Williamsburg shows are also close to selling out, so get your tickets while you still can! *Tamaryn will not be appearing at Crystal Ballroom in Portland on 27/09. 22 years ago today, June 13th 1994, our second album 'Split' was released on 4AD. 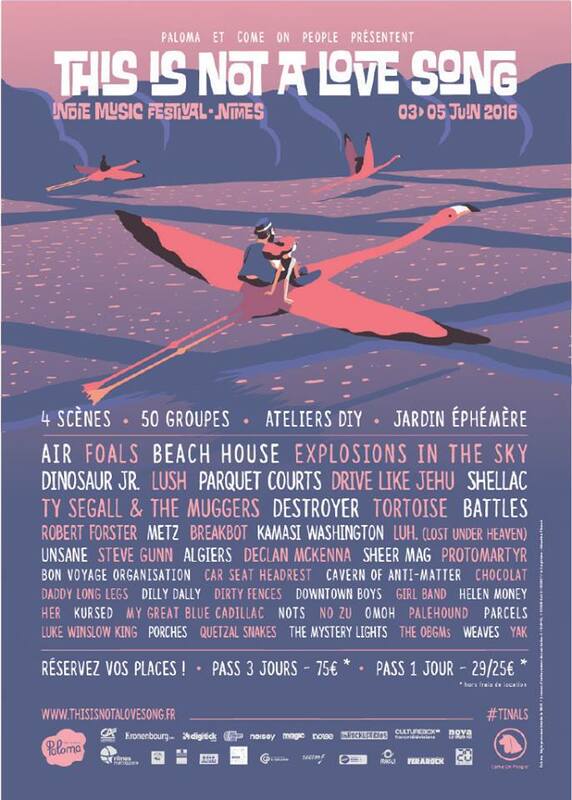 This coming Saturday, 4th June, Lush play the This Is Not A Love Song Festival in Nimes, France. 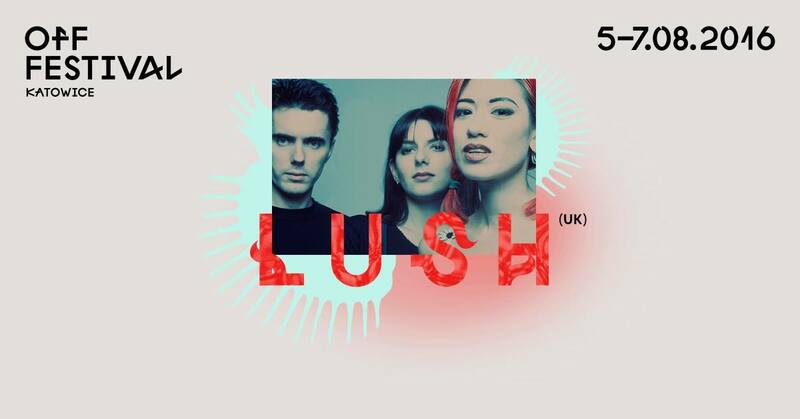 Lush’s set will be broadcast live on Culturebox (French Television’s cultural on-demand and online service) at 19.40 (CEST). It will then be available on demand for free for a few months. 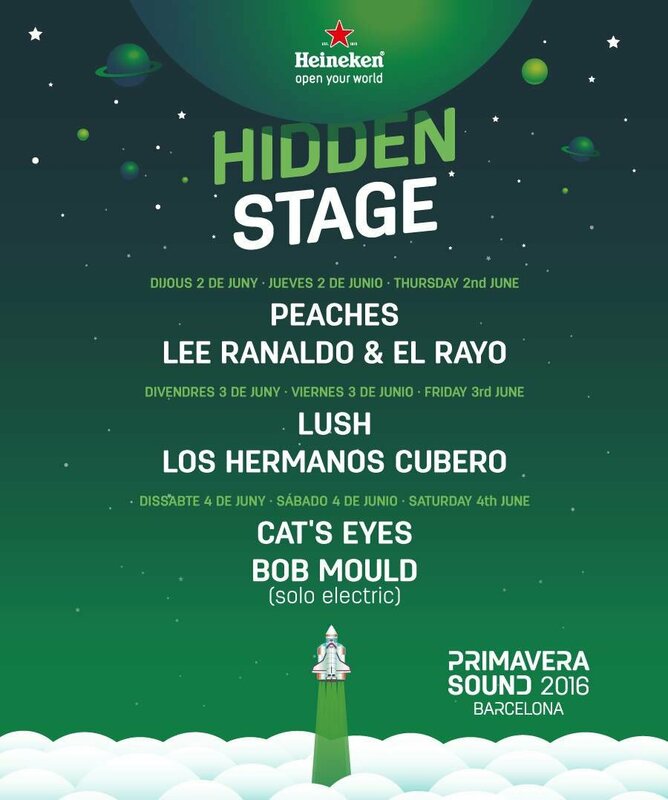 Lush’s European Festival dates for the Summer begin this Friday, June 3rd, when the band play at Primavera Sound Festival in Barcelona, headlining the Heineken Hidden Stage at 19.30. For those who wish to attend, you can get a free ticket at the information desk on the Parc del Fòrum site, from 4 pm on the day of the concert. It will be on a one ticket per person per concert basis until full capacity is reached. Further details here. PrimaveraPro have organised an hour-long interview with the band at 14.00, which will be hosted by Eamonn Forde from The Guardian and Music Ally in the Centre Of Contemporary Culture of Barcelona (CCCB). Further details here. For further details about Primavera, visit the festival’s website here. WIN a pair of one-day tickets to see us perform this Summer at one of our *European Festival appearances! 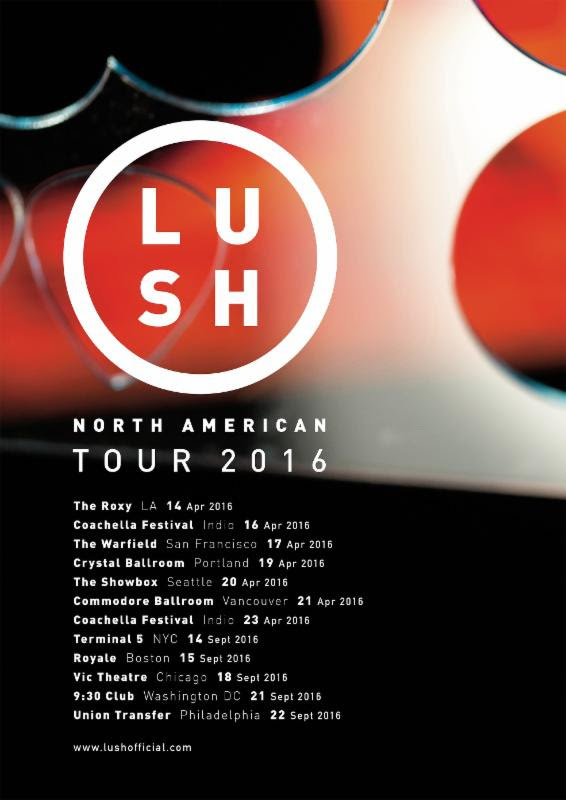 The full listing of our European Festival appearances this Summer can be found on our website at www.lushofficial.com/livedates. To enter the prize draw, just subscribe to our mailing list on our website www.lushofficial.com and then email admin @ lushofficial.com with the subject line ‘Euro Prize Draw’, listing the name of the festival you are interested in attending. You’ll find the subscribe button on the homepage and also on the Contacts section. If you are already subscribed to our mailing list and you’d like to enter the prize draw, please email admin @ lushofficial.com with the subject line ‘Euro Prize Draw’ and list the festival you are interested in attending. US fans, rest assured that we will also be launching a prize draw for you nearer the time of our North American tour in September! 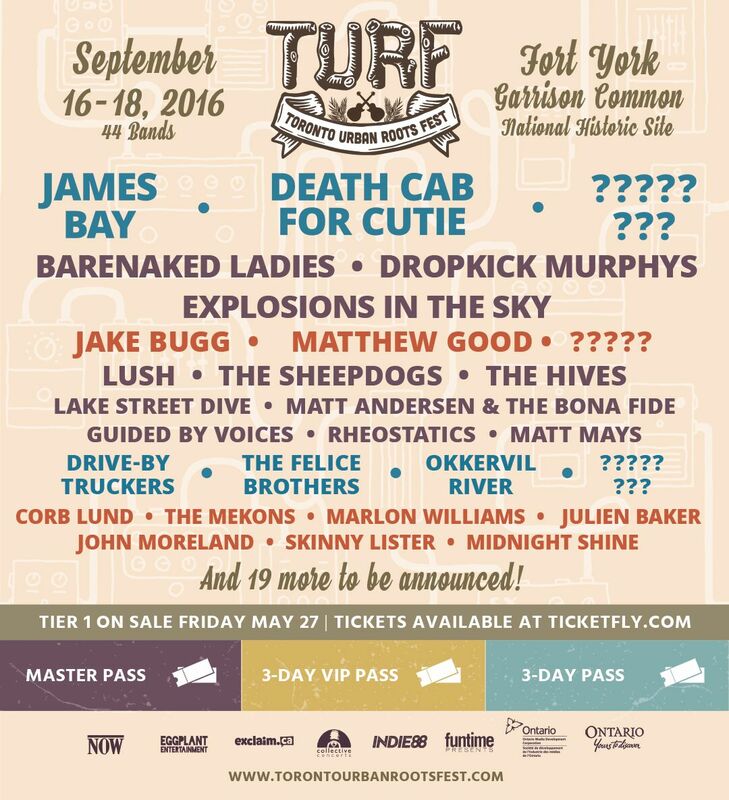 We are delighted to announce that we will be playing at the Toronto Urban Roots Festival (TURF), which takes place on September 16th-18th at Fort York National Historic Site. Tickets are available from noon tomorrow (EDT), Friday 27th May, from the festival website here. 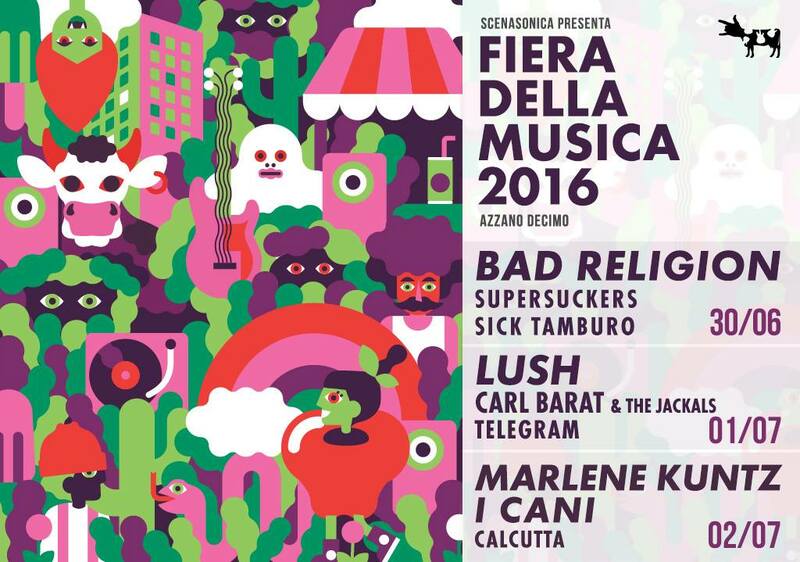 Really pleased to announce that we shall we playing at the Fiera Della Musica Festival, Azzano Decimo (nr Pordenone), Italy on Friday July 1st. Also on the bill are Carl Barat and the Jackals and Telegram. See you there! 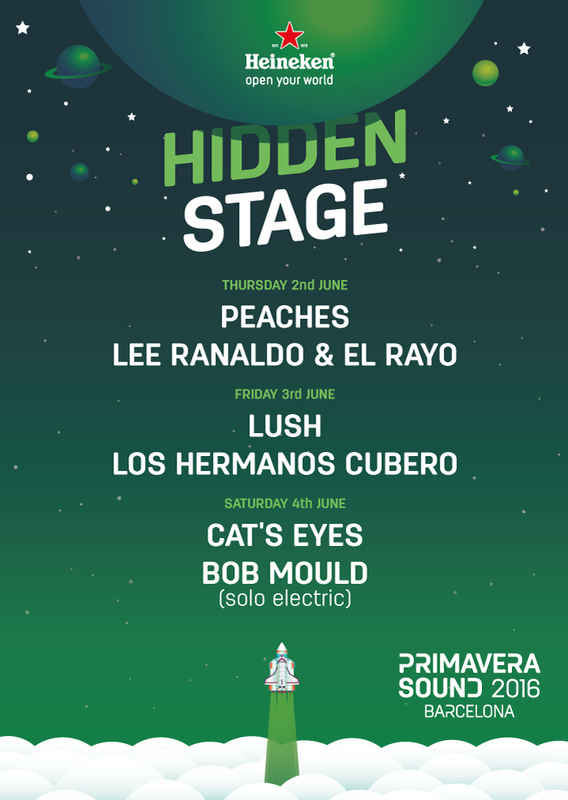 We are really delighted to announce that we shall be appearing on the Heineken Hidden Stage at Primavera Sound Festival, Barcelona on Friday 3rd June. Don't forget to get your reservation ticket at the INFO desk, capacity is limited. Great news (at last). We can confirm that all our visa issues have now been resolved and we look forward to playing in Seattle at The Showbox tomorrow (20th April). Massive apologies again to the people of Portland, whose gig, we can now tell you, has been rescheduled to September 27th. Furthermore, for those of you in Vancouver, we’ve moved the venue to the lovely surroundings of the The Rio Theatre,1660 East Broadway, Vancouver V5N 1W1. We look forward to seeing you on Thursday (21st April). With a heavy heart, we regret to announce that our performance at Coachella this weekend as well as our show at The Warfield in San Francisco, CA on Sunday April 17th will no longer happen as planned. The Warfield show will be rescheduled for Sunday, April 24th. All tickets purchased previously will be honored for this new date. All refunds will be available at point of purchase. 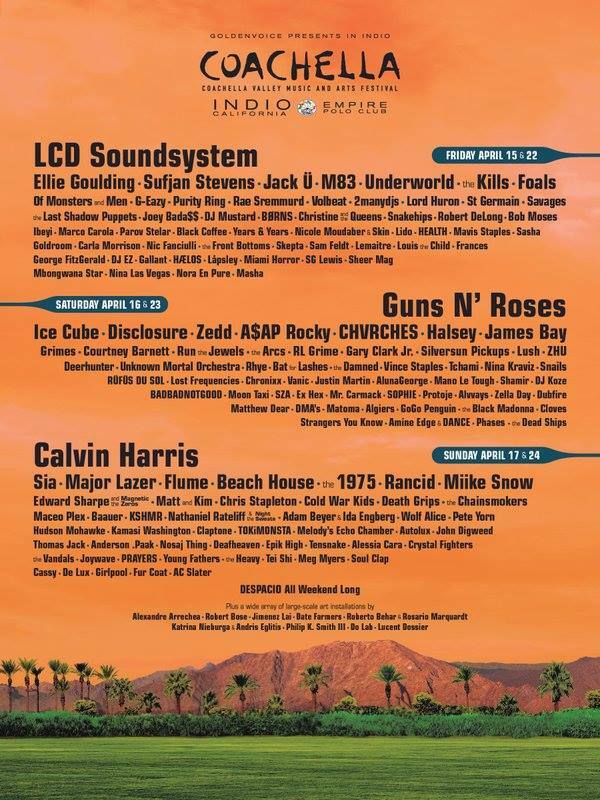 All other west coast shows, including Coachella Weekend Two, remain scheduled as planned. 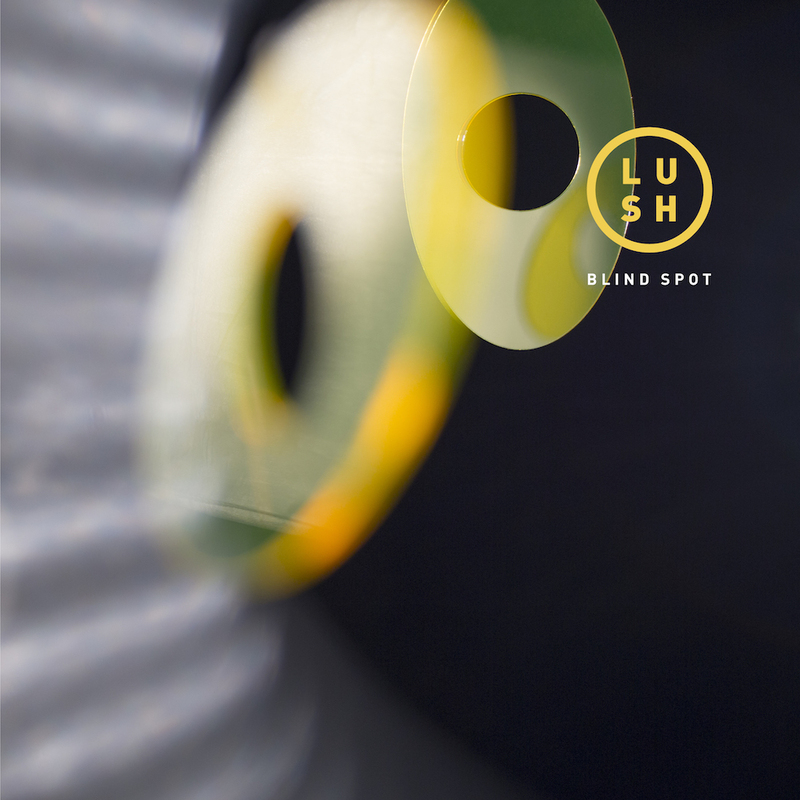 Our first record in 20 years, the 'Blind Spot' EP, is released in the UK today (22nd April in the US). 4AD today launched their Lush website, Chorus Lines. It features one of the most expansive band interviews ever by Martin Aston, author of Facing The Other Way: The story of 4AD. 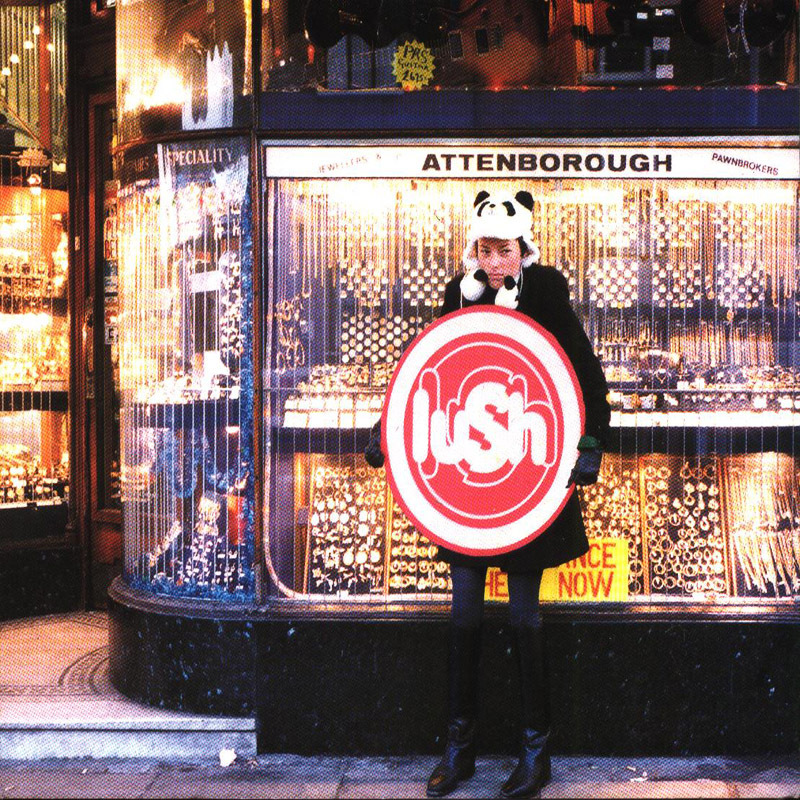 The website also features a gallery of never-before-seen early band photographs as well as a Playlist, titled Covered Lush, which features the original versions of songs covered by the band. 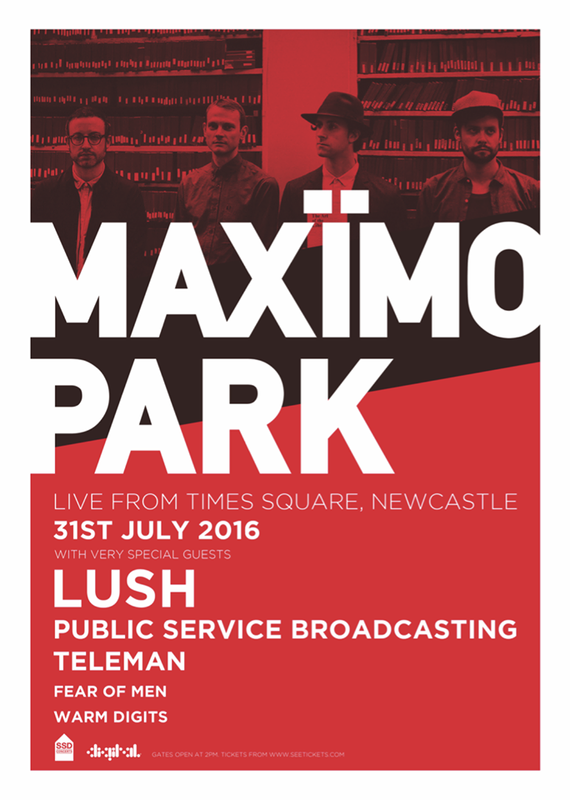 We are delighted to announce that we will be playing in Times Square, Newcastle on July 31st as special guests of Maximo Park. We are pleased to announce that we will be playing at La Route Du Rock festival in Saint Malo, France, on Sunday 14th August. On Wednesday 30th March at 3pm, we'll be announcing details of a special warm-up show which will take place in London on Monday 11th April. You will then have first dibs on tickets for this show...our first show in 20 years! If you've not already done so, please sign up to the Mailing List to ensure you hear about this before anyone else. 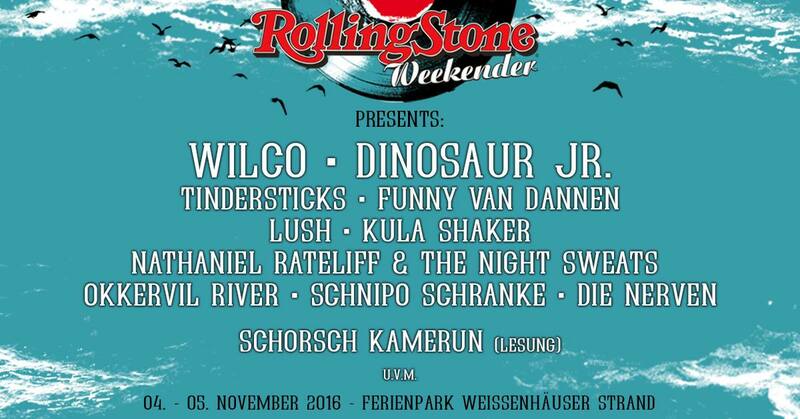 We are really pleased to announce that we shall be appearing at the Rolling Stone Weekender festival near Kiel in Germany over the weekend of 4th/5th November 2016. The video for 'Out Of Control', taken from our forthcoming 'Blind Spot' EP, is released today. 'Blind Spot' is released in the UK on April 15th and in the US on April 22nd. Steve Lamacq will playing 'Out Of Control' tomorrow (19th February) on BBC 6Music after 4pm - tune in then. In the meantime, if you would like to bag an exclusive limited edition 10" vinyl of the forthcoming Blind Spot EP before anyone else, please sign up to the mailing list now as you'll receive a priority email about where/how to purchase before anyone else. We are very pleased to announce that we are going to be appearing at OFF Festival, Katowice, Poland on 6th August 2016 and Iceland Airwaves Festival, Reykjavik, Iceland on 3rd November 2016. They both promise to be really good ones. Ticket links on the tour page. See you there. We’re disappointed to announce that, due to unavoidable personal circumstances, our show in Manchester on April 30th is going to have to be rescheduled. We’ve done all we can to avoid having to do this but, sadly, we’re just unable to make this commitment. As a result, the show is being rescheduled for later in the year on Friday 25th November 2016. Naturally, refunds are available for anyone who cannot attend the rescheduled date. Original tickets remain valid for the new date. Tickets go on sale at 11am CST on Friday 22nd January. Links to follow. We're delighted to be able to share with you that we've recorded a brand new EP. It was recorded over the Summer and produced jointly by Daniel Hunt (Ladytron) and Jim Abbiss. We will be bringing you further details about the EP in the not too distant future. FIRST BAND PRESS SHOT IN 20 YEARS! We're pleased to share the first press shot of the band in 20 years, taken by photographer Gabriel Green. We're very happy to announce our first festival for 2016. We'll be performing at the Øyafestivalen (Øya Festival) in Oslo, Norway on Friday 12th August. 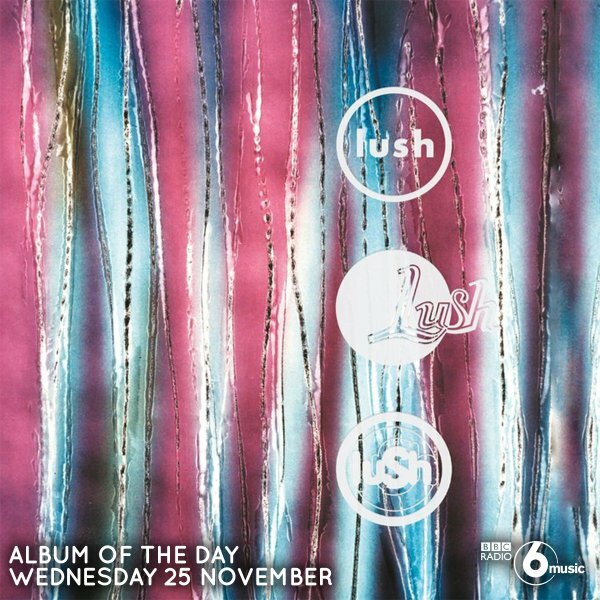 Our upcoming 'Chorus' box set on 4AD is Album Of The Day on BBC Radio 6 Music today. We're excited to unveil another UK show! 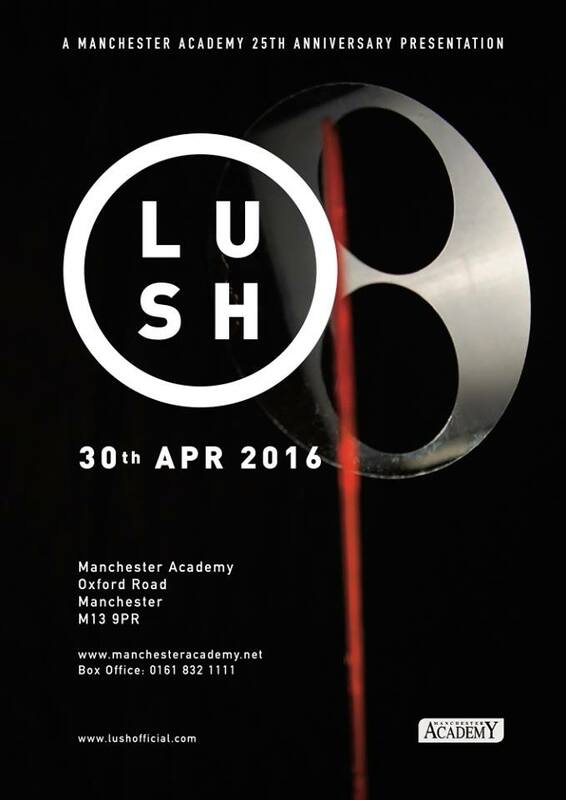 We play Manchester Academy on Saturday 30th April. Tickets will be available to purchase from 10am this coming Friday from here. If you've not had a browse around our merchandise store yet, you can do so here. We'll be updating it from time to time and adding new products. Recent additions this week are A2 posters for both the London Roundhouse shows and the New York Terminal 5 show. 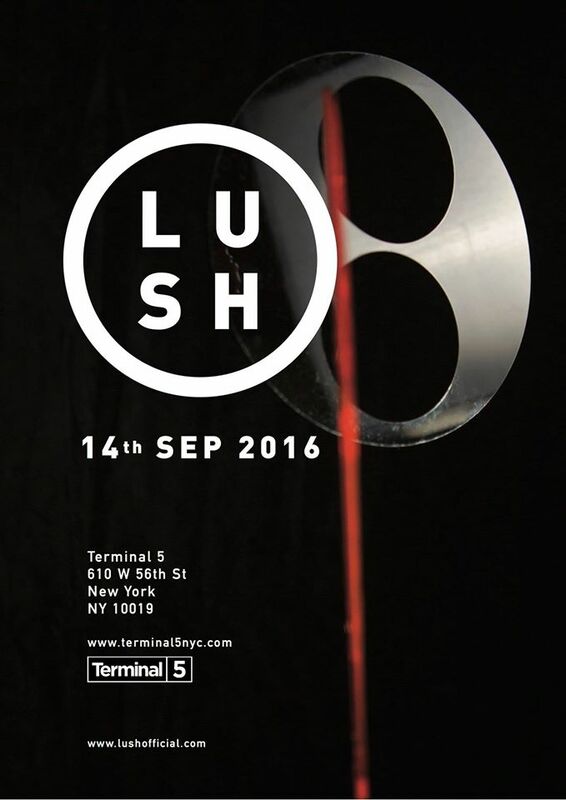 We're delighted to announce that we will be performing at New York's Terminal 5 on 14th September, 2016. The first time vinyl pressing of the band’s Best Of, Ciao! is being released on 27th November as part of Record Store Day’s Black Friday event. This first run will be limited, on double red vinyl, and will be available from your local record store. Following on from the news that Lush are to reform next year, we're proud to formally announce the full details of the band’s extensive anthology, Chorus. 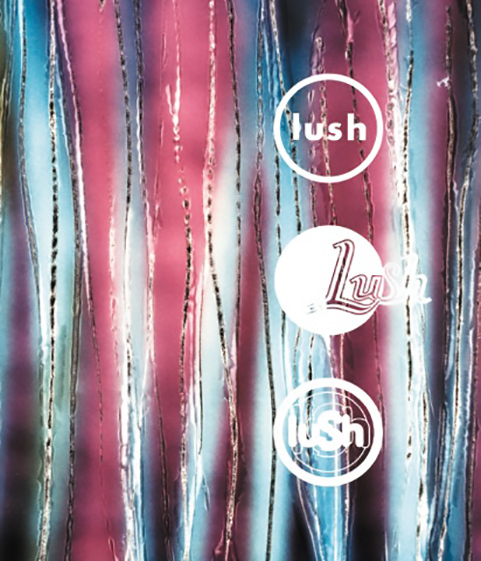 Over the course of a decade, Lush released three studio albums – Spooky (1992), Split (1994) and Lovelife (1996) – to growing critical and commercial success. Starting out with the mini-album Scar (1989) and releasing a string of singles and EPs throughout their career, these were used to create the compilations Gala (1990) and Topolino (1996); two albums that would ultimately bookend their story with the tragic death of drummer Chris Acland in late-1996 leaving them too grief-stricken to continue. 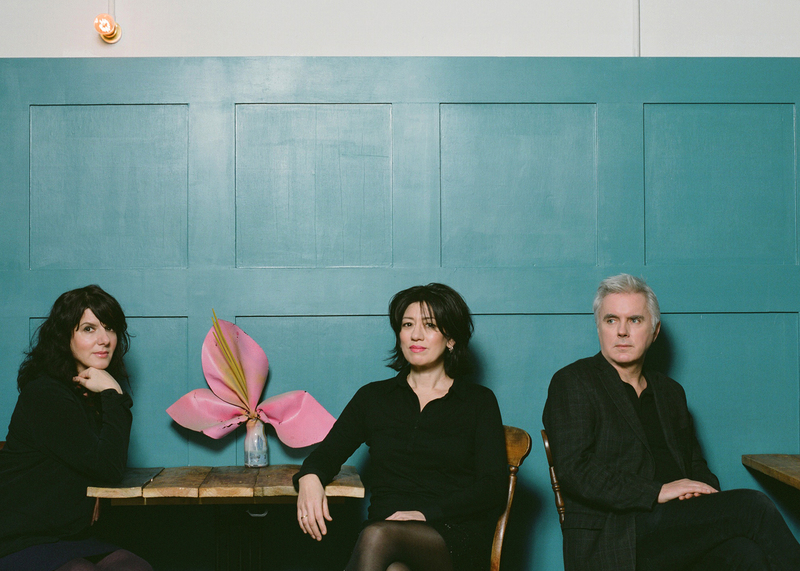 Twenty years on and Lush are a band long overdue celebration. Compiled by the band, Chorus will be spread over five CDs and housed in a beautiful hardbound book, designed by long-time associate and former v23 collaborator Chris Bigg. 105 tracks in total, Chorus contains their three studio albums and both singles compilations plus a wealth of previously unreleased demos, radio sessions, remixes and rarities. The full tracklisting can be found here. Out on December 4th, Chorus is available to pre-order now. You can get your copy from here. 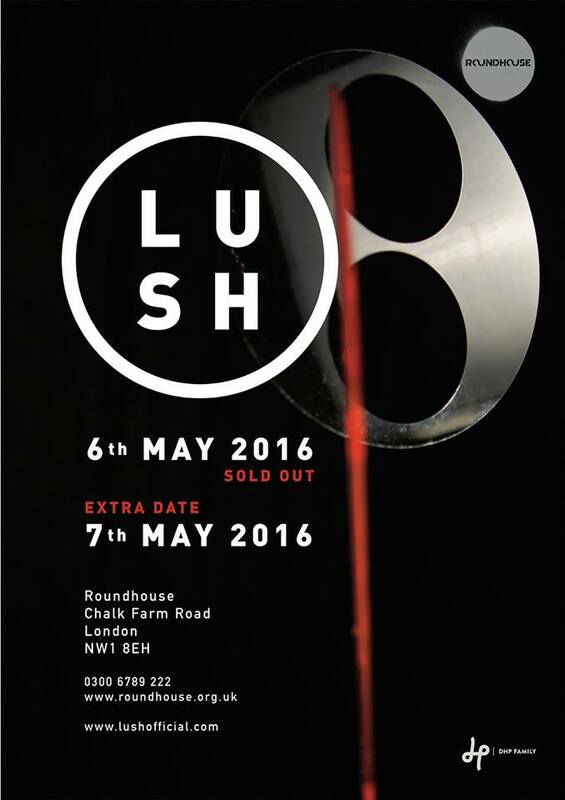 Our first Roundhouse show on 6th May sold out in 6 hours so we have added a second one for the 7th May. Thanks so much for your amazing support! Tickets for our Roundhouse show in London go on sale tomorrow at 9am from here. 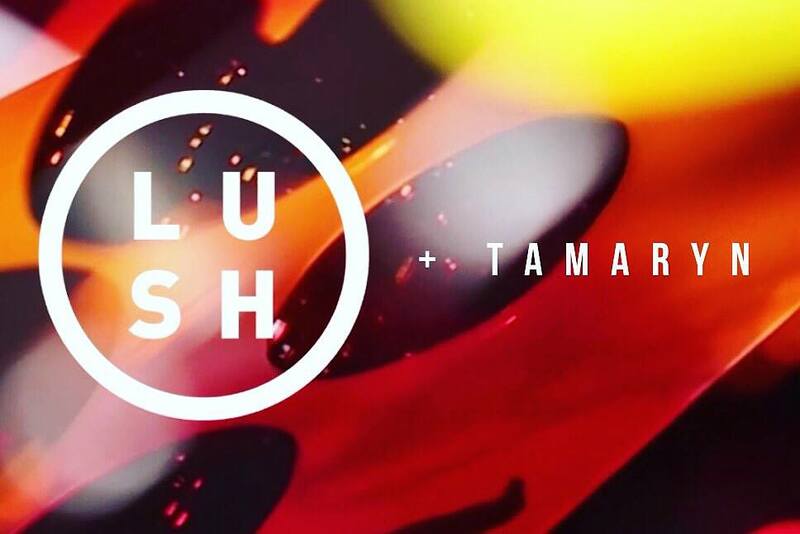 We’ve been away for ages and ages, but we’re really excited to announce that we’re finally ready to reform as Lush. For all the fans who have been pestering us to do this: thanks so much for your patience and support! We wish it could have been sooner but, for many years, it was just too painful to contemplate without Chris, and then all kinds of life-changing commitments made it impossible. Now, at last, the three of us are in the right place at the right time to play music together again.